Every platform has a game or a franchise that showcases the best of the platform and plays perfectly on it. Lara Croft GO is a perfect example of this. When I played The Room on iOS back in the day, I fell in love with the design and overall experience. Fast forward to today and I’ve just beaten The Room Three and discovered one of the multiple endings it offers leaving almost every other puzzle game on iOS in the dust. Puzzle design is something few developers get right. I’ve played through many puzzle games this year like Road not Taken and Back to Bed that either overstay their welcome with tedious design, or ones that are far too simple for me to enjoy. I like everything about the puzzles here. Even the hint system is well implemented and it never lets you get away without thinking long and hard about a solution. Multi-layered puzzles are what you should expect to work with here. Instead of restricting you to one area, you revisit older ones for clues or solutions. At no point does any of this feel like backtracking. I cannot emphasise that enough because every puzzle feels fresh and the way multiple puzzle solutions are related to each other is genius. It all begins with you on a train across a county side. You’re in a nice private cabin and when the train goes into a tunnel, you see flashes of a man in front of you until you find objects in front of you that transport you elsewhere. Things feel more like a mystery thriller than anything else. Being able to mostly explore previous areas as well gives you that real sense of openness in a time where you need to solve complicated puzzles. As with previous installments, it is divided into chapters and has an epilogue section as well. Each chapter starts off in more or less the same way, but the uniqueness in puzzles just shows you why Fireproof won an Apple Design Award among tons of other awards. 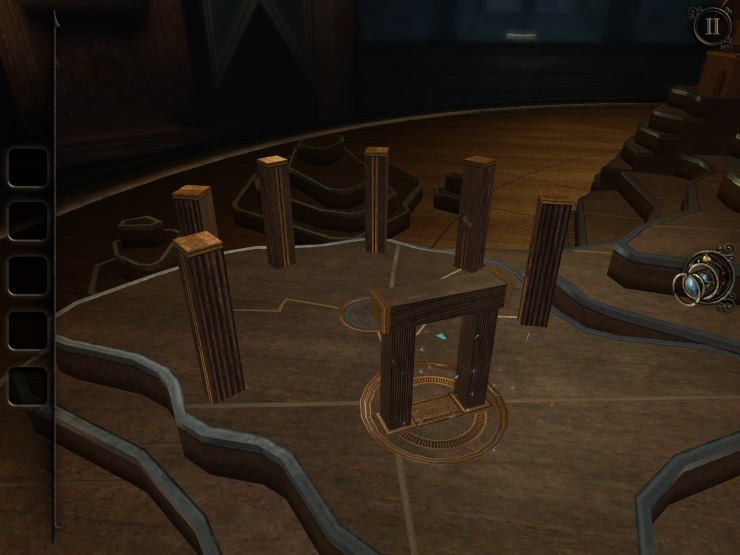 While most other games have multiple variants of the same puzzle type, The Room Three throws everything at you and keeps you on your toes at all times. Your logic, wit, computational skills, math, and more will be tested here. The narrative picks up from the previous game and will make you question various things through the notes in every new room or puzzle section left for you. I love how great the use of multi touch is in many puzzles. You are encouraged to try various combinations of gestures to solve puzzles and you will be pinching and panning your way across the various areas in no time. Every interaction with a 3D object feels real thanks to the atmospheric audio design and responsive visual cues. The Room games have always been gorgeous. The latest installment goes a step further with even more realistic looking items and environments. Even items in your inventory look realistic and stunning on the Retina display when you examine them closely. I wish everything here looked consistently good, because I did notice some areas of a few rooms look rather low resolution compared to the rest of The Room Three on my iPad Air 2. Unfortunately, a small part of this experience left a bad taste in my mouth. I got stuck in a particular puzzle in the second chapter for nearly an hour until I realised the puzzle had glitched for me. The only way I could fix this was by moving the camera to an awkward angle and tapping on a puzzle piece quickly. 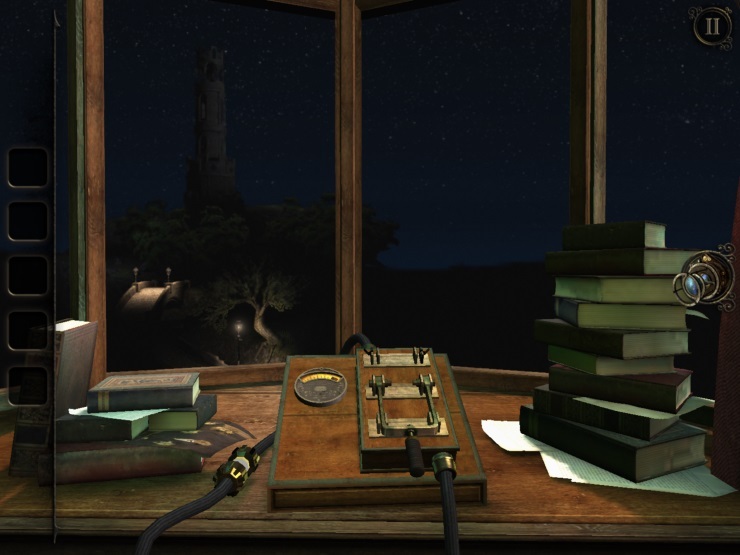 The Room Three is one of the best puzzle games available on any platform, and I cannot wait to see what Fireproof Games do next. They really have a gem of a franchise here. You absolutely have to buy this if you are even remotely interested in puzzle games. 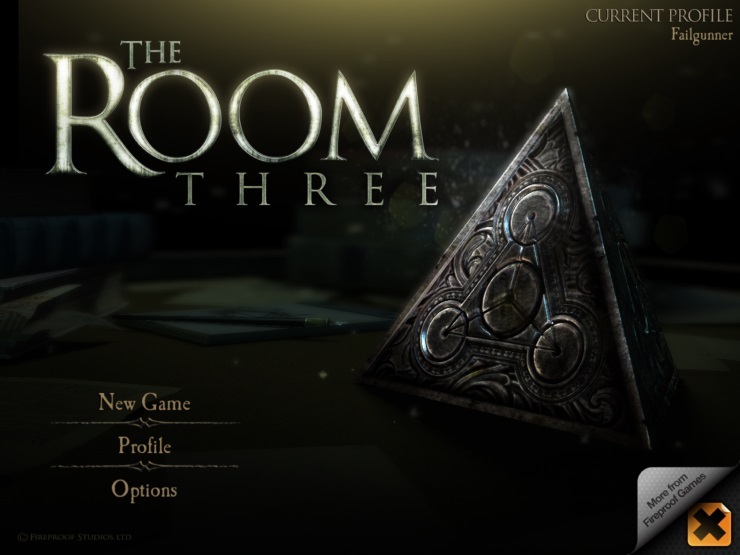 The Room Three expands on what the first two games did and raises the bar for puzzle games in general to a whole other level.